Performing since 2015 with a new nickname SKEY. He&apos;s DJ career has lasted more then 15 years and he has long proven himself as a talented artist with charisma and excellent musical taste . He&apos;s gained fame as a musician with the courage to change his music format and the creative concepts while always adhering to an authentic underground sound. 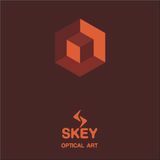 Music SKEY is designed for the informed listener and especially close to those who prefer a soulful sound. the secret of it&apos;s hypnotic sound is masterfully interweaving styles from deep techno and progressive to mature tech house. This is now a refined method which sends the listener into the experience of a transcendental journey into music for the entire performance SKEY.